No one remembers second place. It started as an inside joke, but it’s a motto that may have helped one team successfully come out on top in the 2018 edition of The Air Canada Race held in partnership with Experience Kissimmee. 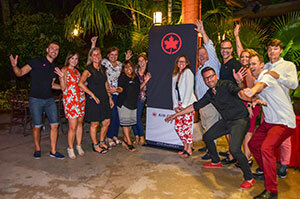 Travel agents from coast to coast – quite literally from Prince Rupert, BC, all the way to Goose Bay, Newfoundland and Labrador – recently gathered in Kissimmee, Florida to go head-to-head in the eighth instalment of the competition inspired by the reality TV show The Amazing Race. With Canada being Kissimmee’s No. 1 international market for almost 50 years, DT Minich, president/CEO of Experience Kissimmee said playing host to this year’s race was a win-win situation. After three days of intense competition, which saw participants embark on a FootGolf tournament, an aerial obstacle course, a scavenger hunt at Universal Orlando Resort and a series of challenges at Disney’s Hollywood Studios, there could only be one winner. In the end, it was Team Federico, made up of Air Canada Vacation’s Federico Berardinucci, Amanda Lindsay of The Travel Store, Jesica Faur of Canada One Travel, Tatiana Rheaume of Egencia Canada, and Harriet Palaypayon of Nexion Canada ULC, who came out on top and claimed the grand prize. 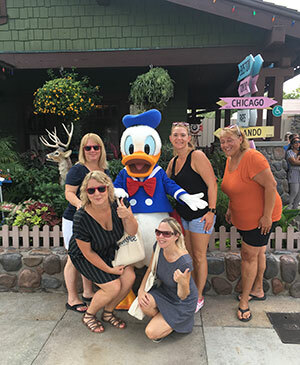 As a travel agent for just over a year and a half, fellow team member Harriet Palaypayon of Nexion Canada ULC in Toronto, says she’s excited to get her next Disney inquiry now that she has first-hand experience at the resort, as well as in the destination. 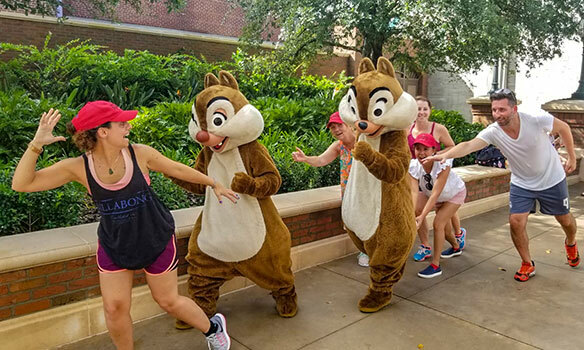 Each team member won two return tickets on Air Canada Rouge to Orlando, a vacation home rental stay, and two tickets per winner courtesy of Walt Disney World Resort, Universal Orlando Resort and SeaWorld Parks & Entertainment. Since team leader Federico Berardinucci works for Air Canada Vacations, his prize was awarded to Kristina Dyk, account manager for Corporate Traveller in Vancouver, BC, for having the best social media presence over the course of the race. Dyk, who tweeted during the competition about how she had to bring her niece along next time to experience the water park at Universal’s Volcano Bay, said she’s excited to come back. On hand to give out the prizes, Bonnie Walker, director of sales for Western Canada at Air Canada, said travel agents take away so much more than the fact that Air Canada flies to the destination by taking part in the race. And we do remember second place, so honourable mention goes out to Team Jamie, comprised of Jamie Fox of Air Canada, Julia Yashku of YYZ Travel, Hannah Parker of HRG, Tommy Tereshyn of 5 10 Travel, and Karlie Reinberger of Merit Travel. Here’s the lowdown on what went down during The Air Canada Race in Kissimmee, Florida. The competition kicked-off with teams battling it out on the links with a FootGolf tournament held at the award-winning Watson Course at Reunion Resort. As the sport is a combination of soccer and golf, the objective was to make it through the 18-hole course with the fewest amount of kicks possible. 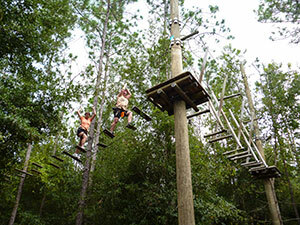 Next up, participants were off to Orlando Tree Trek Adventure Park, a progressively challenging aerial obstacle course set high atop a canopy of trees. Participants swung on ropes, crossed wobbly suspended bridges and swinging logs, leaped onto hanging nets, and soared on zip-lines, as they raced against the clock to be the fastest to complete the courses. It was a scavenger hunt of epic proportions as participants headed to Universal Studios and Islands of Adventure at Universal Orlando Resort to search high and low for visual clues, creative photo requirements, and answers to 38 questions and riddles. Contestants went to infinity and beyond for the final leg of the race, decoding clues and embarking on a series of challenges and photo opportunities through Disney’s Hollywood Studios, and ended up among the likes of Woody, Buzz and Jessie at the recently opened Toy Story Land. – Jesica Faur, travel specialist, Canada One Travel in Winnipeg, Man.